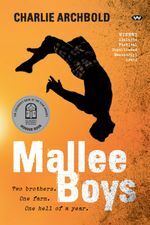 I have been reading this author for a while, and I was so excited to meet him in person at the Sydney Writers’ Festival last year. I think that he really is the cutting edge of young adult fiction right now, and when he told me last year that he had a character in one of his series with the same name as me, I knew I was going to have to give it a go. To celebrate 10 years of publication, the series was recently released in these very striking editions with black-edged pages and I absolutely had to have them. It has been a while since I’ve reviewed a book with tinted edges, and there is also a film adaptation currently in production, so I thought I’d better get moving. 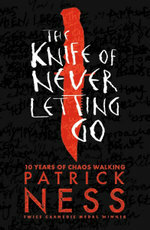 “The Knife of Never Letting Go” by Patrick Ness is a dystopian young adult science fiction novel about a boy called Todd Hewitt who lives in a place called Prentisstown. In a town inhabited solely by men, where everyone can hear everyone else’s unfiltered thoughts at all times, Todd is the youngest. Spending most of his time alone with his dog Manchee, Todd is waiting for his 13th birthday, the day he will become a man, which is just a month away. However, when Todd stumbles across an impossible silence, everything he thought he knew about his town is thrown upside down. When I picked up this book, what I was expecting the satire of “The Rest of Us Just Live Here” or the poignancy of “Release“. However, this is a very different story. One thing I love about Ness’ writing is that he is not afraid to commit completely to exploring a difficult, nuanced issue. In this story, Ness creates a world where there truly is a difference between men and women. He uses what he knows about gender in society and throughout history to take this difference to its horrifying extreme. When I read “The Power“, this was the book I was hoping for and finally I got it. I also really liked that Ness constantly placed Todd in difficult moral situations and did not always let him choose the right way. Todd struggles with feelings of guilt and conflicting interests, and is by no means the perfect protagonist. Ness is also an incredibly versatile writer and there are a lot of subtleties in the language he uses in this book. As much as I was hooked by this story, I can’t give it a perfect review. There were some things that happened in the narrative that I wasn’t quite sure about. Also, because we learn about the world as Todd learns about the world, there are some big knowledge gaps that we as the readers can identify but where Todd (somewhat maddeningly) doesn’t know what he doesn’t know. I do appreciate that this is a trilogy, so there is still a lot yet to happen, but it is a very ambitious story and I wasn’t always completely on board with the way the story was unfolding. Nevertheless, Ness is an excellent and relevant storyteller and if I had teenagers, I would be giving them his books. I have been reading this author for a long time, and he has an impressive bibliography of novels that straddle the blurry line between fantasy and realism. This book has been sitting on my shelf for quite a while after my partner bought it for me, and I have to admit, the cover had not really attracted me. I know the artist is incredibly well-known, and while I agree the style is probably in line with the themes of the book, it is a bit skeletal and knobbly for my tastes. It sat there gathering dust for some time until I thought, I just need two more books to finish my 2018 Goodreads Reading Challenge, this one looks relatively short and it has been a while since I’ve read this author. “The Graveyard Book” by Neil Gaiman is a young adult fantasy novel about a little boy called Nobody Owens who lives in a graveyard. Narrowly escaping murder like the rest of his family by the man Jack, Bod, as he is affectionately known, is granted refuge among the ghosts and creatures who live in the graveyard. Although adopted by Mr and Mrs Owens, and watched over by his mysterious guardian Silas, Bod is given a large amount of freedom within the confines of the graveyard. However, the protection cannot last forever, and sooner or later Bod must return to the real world and live his life. This, at heart, is a book about growing up. 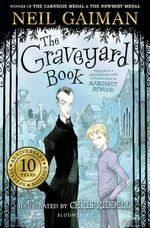 Gaiman sets the scene by introducing the graveyard, its features and residents and uses them as a yardstick to measure how Bod grows and changes over time. In his usual subtle way, Gaiman explores the differences between good and bad, child and adult, accepting help and self-reliance – all things that young people must navigate as they start to find their own way in the world. This is also a book about boundaries, which ones are flexible, which ones are permeable and which ones must remain steadfast. Gaiman is never condescending in this book, and I think that the way that he writes about the challenges Bod faces leaves a lot of room for young readers to make up their own minds about the way things turn out. I really enjoyed how Bod aged over time, and I think it’s quite rare for a children’s book to really examine how children’s personalities develop. I think the problem I had with this book is that while it is undeniably rich, at times it felt a bit constraining while reading it. I completely understand that Gaiman explores different kinds of freedoms and deliberately uses the border of the graveyard as both a physical and metaphorical barrier. However, because the majority of the story is set within the graveyard, and a lot of the story is Bod revisiting places and people within that graveyard, there were times where the book feels a bit repetitive. Nevertheless, a complex and sophisticated young adult novel in Gaiman’s trademark style that I think many kids would enjoy. 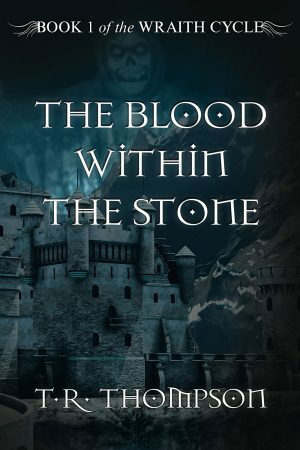 “The Blood Within The Stone” by T. R. Thompson is a fantasy young adult novel, the first in the “Wraith Cycle” series. The story is about two young boys, Wilt and Higgs, who live on the streets of a grim town called Greystone. Will’s ability to seemingly guess what people will do next gets him and Higgs an invitation into the Grey Guild, the prestigious guild of thieves. However, Wilt’s plans to eke a living that way are thrown by the wayside when he and Higgs are taken against their will by a Prefect from a Redmonis, a revered institute of education. When they arrive, the situation is even more grim than the town they left behind. All the students appear to be under some kind of spell and the mysterious Nine Sisters of Redmonis seem to be behind it. Thompson conjures a bleak world, where the only way to survive is at the expense of someone else. He keeps that tone consistently throughout the book and it definitely felt much darker than most YA I read. I think there were two particular highlights for me in this book: the magic and Higgs. Thompson’s magic system is very sophisticated and throughout the book Wilt discovers and learns to control his affinity with welds: the connections that are formed between all living beings and which allow him to perform an increasing number of extraordinary feats. Magic is a difficult thing to get right in fantasy, and Thompson has clearly put in a lot of thought into his system, the things it can be used for and the dangers it poses to those who can wield its power. I also absolutely adored the character of Higgs. Higgs is an excellent character and I found myself actually rushing through the parts about Wilt so that I could find out more about Higgs and what he was doing. Higgs’ enthusiasm and expertise was a breath of fresh air in a book that is otherwise very serious. I guess that’s probably also a downside about this book: I liked a lot of the other characters more than I liked Wilt. Despite his incredible power, Wilt didn’t really seem to have much in the way of either personality or agency. Higgs is in the background, doing all the heavy lifting, while Wilt just seems to be along for the ride. Given the ending (which I won’t spoil) I imagine that future books will be a bit different but for this book, Wilt wasn’t as interesting as I would have liked him to be. I would read a thousand books about Higgs’ crackling personality and sharp wits, but Wilt was kind of more brawn than brains and just wasn’t as engaging. Another issue I had with this book was a bit less about character and plot, and a bit more to do with an overall approach to conflict resolution. As I said earlier, this is a dark book and it is quite violent with characters frequently asserting their dominance through physical assaults. My problem wasn’t with this per se, but more with Wilt as his character develops over time. Quite a few people underestimate Wilt at the beginning, but as his control over his powers develops, he uses those powers to force people into respecting him. I think this was particularly apparent when he meets soldier Daemi, and learns to use his power to make her respect him. I think it is around Daemi that we really see an uglier side to Will and again, I wonder what the author will do with his character development in later books. On balance though, I would have liked to have seen more problems solved with communication, kindness and intelligence rather than with brute strength – magical or otherwise. This was nevertheless a compelling story with a unique approach to the genre that hints at a much more epic story to be told in future books. If we get to see more of Higgs, I will definitely be there. 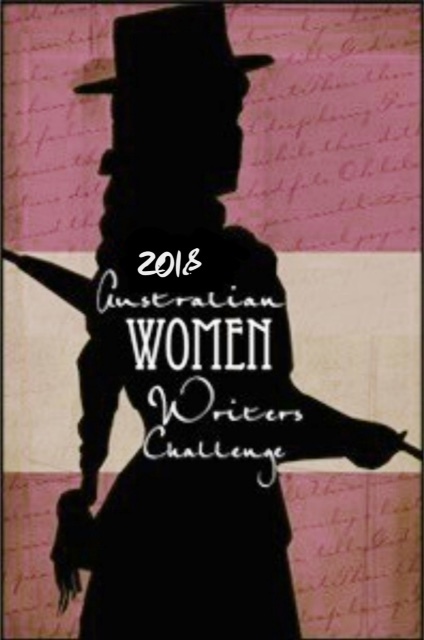 “Cassandra” by Kathryn Gossow is a young adult fantasy novel about a teenager called Cassie who lives on a rural property in Queensland in the 1980s. She often has visions of the future, but they are so fragmented and unpredictable that nobody believes her. Nobody, until she makes friends with her new neighbour Athena. Isolated at school and frustrated with her family, especially her younger brother Alex whose weather predictions have led their family to prosperity, Cassie is thrilled to have a friend like Athena. Even if Athena asks her to keep their friendship a secret. However, Cassie’s visions keep telling her that things are going to go wrong and as she grows more and more disturbed by them, everything eventually does. This is a compelling story that fuses the familiar story of an outcast teenager with the story of Cassandra, a figure in Greek mythology. While they might seem an unlikely mix, the issues that Cassie deals with like fickle friendships, first crushes, experimentation, mental illness, aging family members and tense relationships with her parents and brother are cast in relief by her inability to properly control her visions of the future. I really liked the way that Cassie’s visions are so neatly woven into the remainder of the story. I also really liked how the book darkened into a real Australian gothic story. I don’t usually like books that are quite so bleak, but I appreciated Gossow’s sense of realism, especially in the scenes where Cassie attends a party with other teenagers. I think the part of this book that I had the most trouble with was the character of Athena. Without giving away too much of the story, I felt like I would have liked Athena to either be a little more true to her namesake when it came to her friendship with Cassie or to have simply not been named Athena at all. I felt like out of all the hardships and heartbreak that Cassie went through in this story, Athena’s gradual then ultimate betrayal was the only one I couldn’t connect with. Athena was a bit of an enigma. Highly intellectual, Cassie feels a blend of admiration and envy for her, and she is presented for the most part as being perfect. However, I couldn’t quite understand how dispassionately she treats Cassie both as a friend and as an experiment. This is a very thought-provoking book that explores a range of issues including adolescence, agrarianism and even immigration. After I finished it, I felt almost as haunted as Cassie. I received an advance reading copy of this book courtesy of Harry Hartog. This is my second book by Patrick Ness, and I was so so thrilled to meet him at the Sydney Writers’ Festival earlier this year. I absolutely adored “The Rest of Us Just Live Here” and I had high hopes for this book as well. “Release” by Patrick Ness is a young adult novel that takes place over the span of a single day. Adam is a teenager in a small American town who is just about to start his senior year at school. He has a full day ahead of him: errands, work, a date, helping his minister dad out at church and a get-together-that-is-definitely-not-a-party. Even though his busy life seems fairly normal, Adam has always felt like the prodigal son and even though his friends all know about his sexuality, his family doesn’t. However, on this particular day, after some shock revelations, Adam realises that he can’t keep his feelings bottled up any longer. While Adam is dealing with the world as he knew it ending, the world is genuinely under threat when a lost soul merges with a merciless queen and together they seek revenge. Wow, this book. I just want to say, before I go into the substance of my review, how lucky teens are today to have a writer like Patrick Ness writing books for them. He is an exquisite writer who captures the nuance of adolescence, intelligence and sexuality and presents the whole messy bundle in a way that anyone can relate to. The story of a gay kid hesitating to come out because he knows his parents won’t react well and worrying that they might love him less is such a common story in real life, but it is so so rare on the page. We need more stories like this and Ness is a genius at portraying that uncertainty and fear that so many kids go through. I also think that Ness has a real talent for writing about the physicality of being a teenager and having to deal with the new size, shape and function of your body. Importantly, Ness doesn’t talk down to his audience, he talks with them. Ness’ writing has a real sense of purity about it. Adam is such an authentic character. Even when he makes mistakes, or says painfully cringe-worthy things, he remains someone you can completely believe in and someone you can completely connect with. There’s probably only one thing that I wasn’t quite sure worked in this book which was the fantasy overlay of the spirit of the murdered girl merging with a queen from another world. For the most part, I was pretty skeptical about where that story was going, but then with an incredible flair, Ness tied it all together in a beautiful moment of clarity at the end. I really cannot recommend this book enough. If you know a teenager who is struggling with their identity or having trouble being accepted, especially if it’s to do with sexuality, this book is perfect. A lot of people have been talking about this newcomer on the scene of children’s fantasy. The book is by an Australian author, and when I saw a signed copy in the window of a Canberra bookshop, I thought I’d better grab a copy and give it a go myself. “Nevermoor: The Trials of Morrigan Crow” by Jessica Townsend is a children’s fantasy novel about a young girl called Morrigan who is cursed. Blamed for every mishap that takes place in Jackalfax, a town in the state of Great Wolfacre, in the Wintersea Republic, where her father is Chancellor, Morrigan is treated like an outcast by her community and her family. Due to die on Eventide, Morrigan is instead rescued by the charismatic Jupiter North and taken to a magical city called Nevermoor. However, her status in this city is not secure. In order to avoid the deadly hunt of smoke and shadow, Morrigan will have to trust Jupiter’s confidence that she will pass the trials to gain entry and sanctuary into Nevermoor’s prestigious Wundrous society. First things first, I think kids will probably enjoy this book. Although I’m an adult, if I look at this book through the eyes of my younger self, it’s easy to read, it doesn’t shy away from heavy themes, yet it has a strong sense of wonder about it. There are some really creative elements that I enjoyed in Jupiter North’s hotel like Morrigan’s bedroom that changes daily and the chandelier that regrows. It’s a fast-paced story and Morrigan has a sense of integrity that really resonated with me. Townsend writes in a style that’s both complex and age appropriate and I think has a particular knack for capturing the subtleties of a young person’s emotions and relationships. There was a particular part where Morrigan felt guilty about something and eventually confessed to Jupiter, and I just felt like the whole emotional exchange was handled by Townsend in a really realistic way. Something being a much bigger problem for the child than it is for the adult, but the adult appreciating being told the truth in the end nonetheless. I’m certain I would have whipped through this as a kid. However, I am no longer a kid, and this is not my first fantasy book. This book has been touted as the next “Harry Potter” and I think that is a fair but not necessarily favourable comparison. Drawing on themes from J K Rowling’s famous series and the gothic atmosphere from “A Series of Unfortunate Events“, this book definitely has a familiar vibe to it. I could go through the various tropes in it, but I don’t want to give away any spoilers. I did really like some of the side-characters, but Morrigan herself I thought could have been a bit more interesting. Maybe after Harry Potter and Bella whatserface from “Twilight” I’m a bit tired of dark hair and pale skin being considered a revolutionary appearance. The trials themselves as well I wasn’t completely sold on. Morrigan felt a little bit like Harry Potter bumbling his way through the Triwizard Tournament meets Jill Pole muddling up Aslan’s instructions in “The Silver Chair”. Also, there was something about the world building that confused me a bit. The Wintersea Republic seems like a very English-inspired world/country (surprising given Townsend is from Queensland, Australia but again very typical for this kind of fantasy), and Nevermoor is this kind of missing magical fifth state that is only accessible via a type of giant clock. I couldn’t quite get a grip on the relationship between the Wintersea Republic and Nevermoor, and the extent to which the former has magic. Maybe this will be revealed later in the series, but at the moment it feels a bit unfinished. 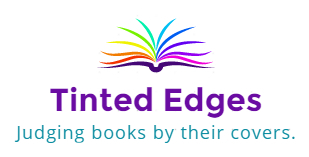 Anyway, while I may be old and jaded, I’m fairly certain that for lots of kids for whom this will be their first foray into fantasy, this book will be a breath of fresh air and they will thoroughly enjoy the story. For adults who have read several children’s fantasy books, this one will feel very familiar. Perhaps a little too familiar. Either way, it’s about the target audience and the target audience will love it.